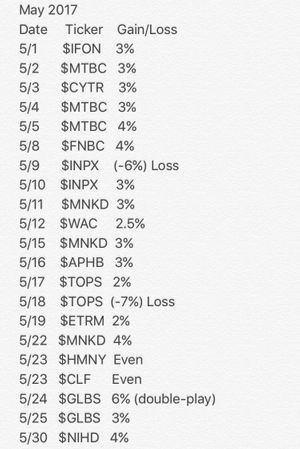 June was another stellar month which gave us over 40.5% in total gains. 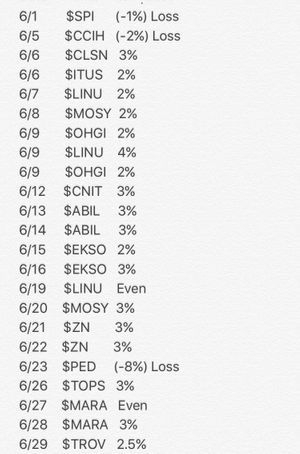 The Win/Loss ratio for June was over 85% with only 3 minimal losses out of 24 trades! May fetched us a total of 42.5% gains! Out of 23 total trades, only 2 losses kept to a minimal. April was a good trading month. This month fetched us 25% total gains. Out of 20 Trades only 5 losses, which I always keep to a minimal. I always monitor charts to alert members to sell if a trade goes South. 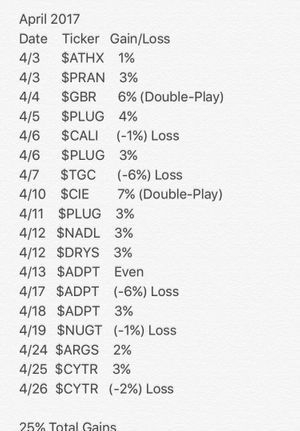 I was over 75% accurate on my calls this month, maintaining a very strong trading record. 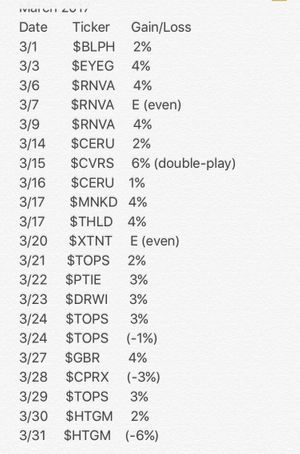 March was a great trading month! Fetching 41% gains! Only 3 small losses out of 22 trades!! 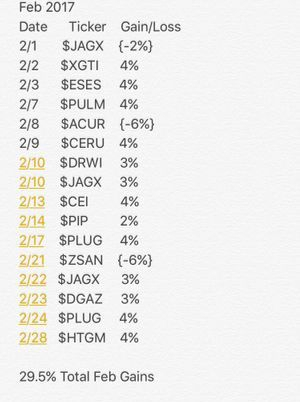 February fetched us a total of 29.5% gains! Another great month which we traded a total of 16 trades. Only 3 small losses, accounting to over an 80% accuracy win rate. 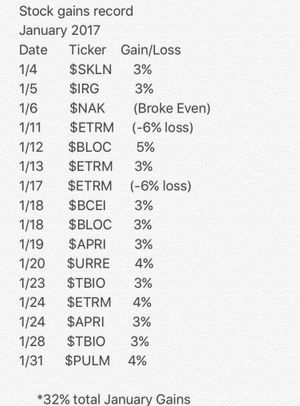 January was a great start to the year fetching us 32% in total gains. I called over 85% right. Amazing accuracy with my trades, and only 2 small minimal losses.